Big rooms,comfortable beds,safe location,walking distance to everything and the staff is fabulous. Great breakfast was included, clean and quiet room, excellent location. The location was excellent, restaurants, fast food, casinos and public transportation. Excellent location. 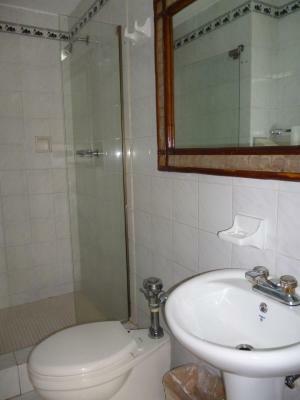 Very near to the financial district, a metro line and "cinta costera" strip. 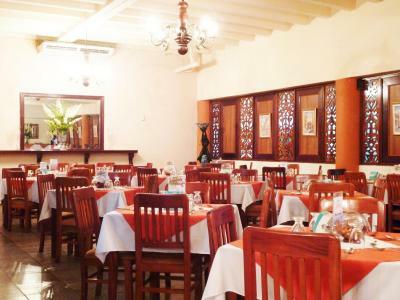 Excellent options of restaurants for all type of budgets. Location is good, Pool, Internet, Size of the Room, Comfortable bed. Nothing much. Maybe just one cleaning lady, who was very friendly and could speak English, unlike to the front desk. So strange! The economy room is a good cheap choice for someone with 3 or more people in their group. 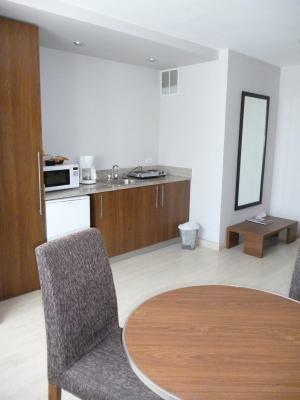 Hotel Tower House Suites This rating is a reflection of how the property compares to the industry standard when it comes to price, facilities and services available. It's based on a self-evaluation by the property. Use this rating to help choose your stay! One of our best sellers in Panama City! Just a 5-minute walk from Panama City’s financial district, Hotel Tower House Suites offers a roof terrace with a swimming pool and fantastic city views. The stylish air-conditioned rooms include free Wi-Fi. Each spacious room at the Tower House Suites offer bright contemporary décor and views of the city. 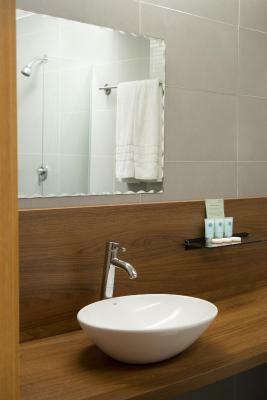 All rooms include flat-screen cable TV, a mini-bar, a safe and a modern bathroom with free toiletries. A free American breakfast is served daily and the bar-restaurant offers international cuisine. You can also find a range of restaurants, cafés and lively bars on Uruguay Street, just 150 feet away. Tower House Suites is a 10-minute walk from Balboa Avenue and the seafront. Albrook Shopping Center and Albrook Airport are 3.7 mi away, while Tocumen International Airport is 14 mi away. Free parking is provided. When would you like to stay at Hotel Tower House Suites? 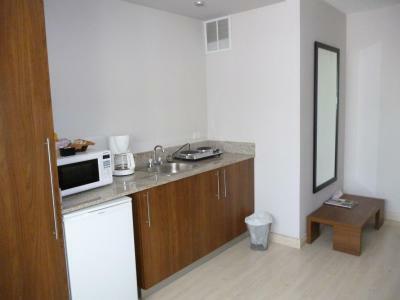 This spacious air-conditioned room offers bright contemporary décor and views of the city. 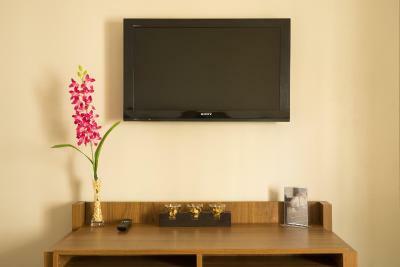 All rooms include free Wi-Fi, flat-screen cable TV, a mini-bar and a safe. 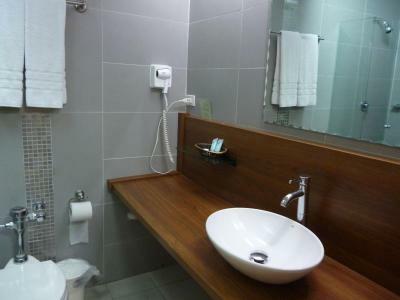 The modern bathroom comes with free toiletries. House Rules Hotel Tower House Suites takes special requests – add in the next step! Hotel Tower House Suites accepts these cards and reserves the right to temporarily hold an amount prior to arrival. Children under 10 years can stay at no additional cost accompanied by their parents, but breakfast is not included, this has an additional cost. The pool that closes at 10.00 pm, great option after a long day. Not the hotel's fault, but Panama City traffic makes it difficult to get to several points of interest. A good value for the money. Lots of good food and drink in the area. if you want something smarter - shop around, if you're easy to please, this is cool. good if you want to be on your own and don't want anyone to bother you really. nice place, though my room was a little dated. it was big, comfy beds. Nice pool, lots of families there. staff were nice and helpful. 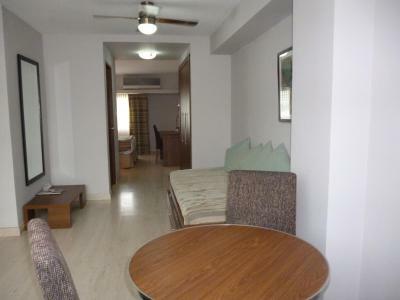 Close to seafront - a 10min walk away which is nice, and 2 mins from metro. loads of other food places around too. fridge in my room also. it's great if you want privacy and don't have too high expectations. if you want something smarter - shop around, if you're easy to please, this is cool. It's an old building and that is especially apparent in the rooms. Spacious rooms and a good breakfast. The pool area needs help. A hose was filling the pool, some paint and cleanup would make it a nice bonus. There was only cold water in the hotel. "Supposedly fresh" towels did not look fresh. dilapidated linens. The walls in my room were covered with fungus. It was humid in the city, part of the wall around AC in the room was wet and kinda swollen.